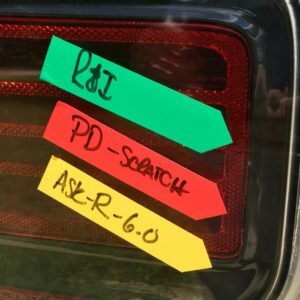 A Caddy Combo is The Tape Thing Caddy bundled with one of The Tape Things. 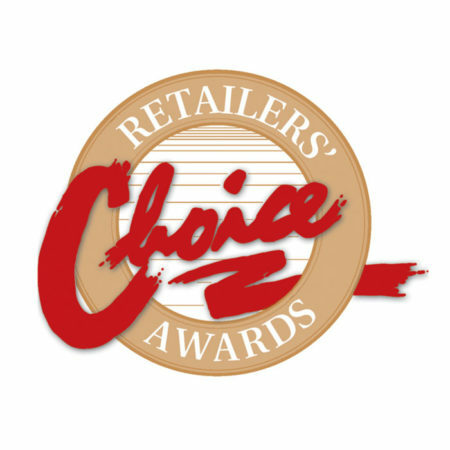 Shops throw away thousands of dollars in time and money on lost, damaged or otherwise misplaced tape. 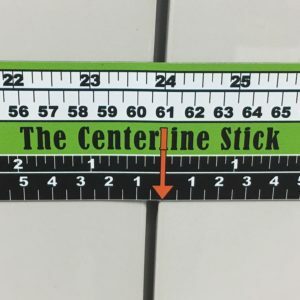 The Tape Thing is a NEW, exciting, patented MAGNETIC tool that sticks tape to booth walls, prep carts, tool boxes, or any other metal surfaces. 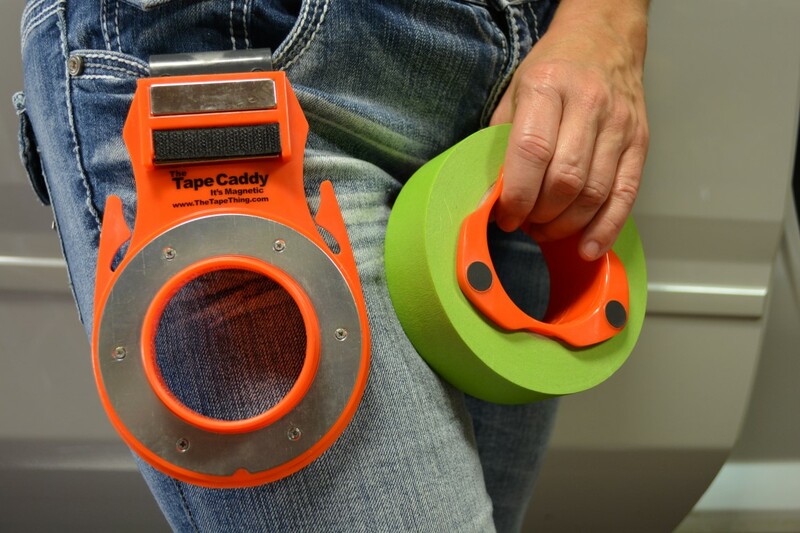 Tape spools off easily from your hand too! 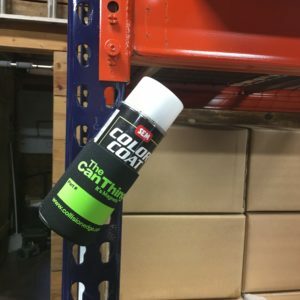 Use this in conjunction with our NEW product The Tape Caddy and keep everything a paint tech uses directly on the hip. 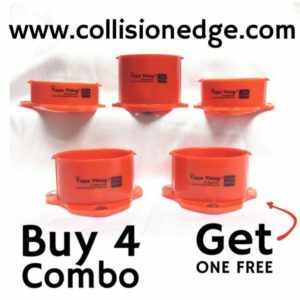 Use this and other Collision Edge products to improve your shop today! Tape Thing Size Options Choose an option3/4"1"1½”2"